The Blues are sitting pretty right now and are in no truly dire position to buy or sell parts. Sure, there are a few leaks on the roster that could use sealing but there are no glaring holes. For every letdown like Patrik Berglund there is a bright new light like Jaden Schwartz. They are hustling their way through the ferociously competitive Western Conference and doing very well. Before tonight’s game with the Columbus Blue Jackets, The Blues walk into the arena with a record of 21-6-3 with a goal differential of 106-70. Sit on that as we continue. Looking at that record, one would be hesitant to point out any problems. Sure, that record leaves us tied for fifth in the Western Conference at 45 points but if we win tonight and the Kings/Sharks do not, we are suddenly in 3rd place. That is how tightly wound the NHL is this year and how hard it will be to find your footing in the playoffs. That is why it is important to enjoy the record yet keep your eyes on the future and the biggest prize. Lord Stanley’s Cup. As a Blues fan waiting for that first parade on Clark, that is all we think about. Holding it high and standing taller than the rest. 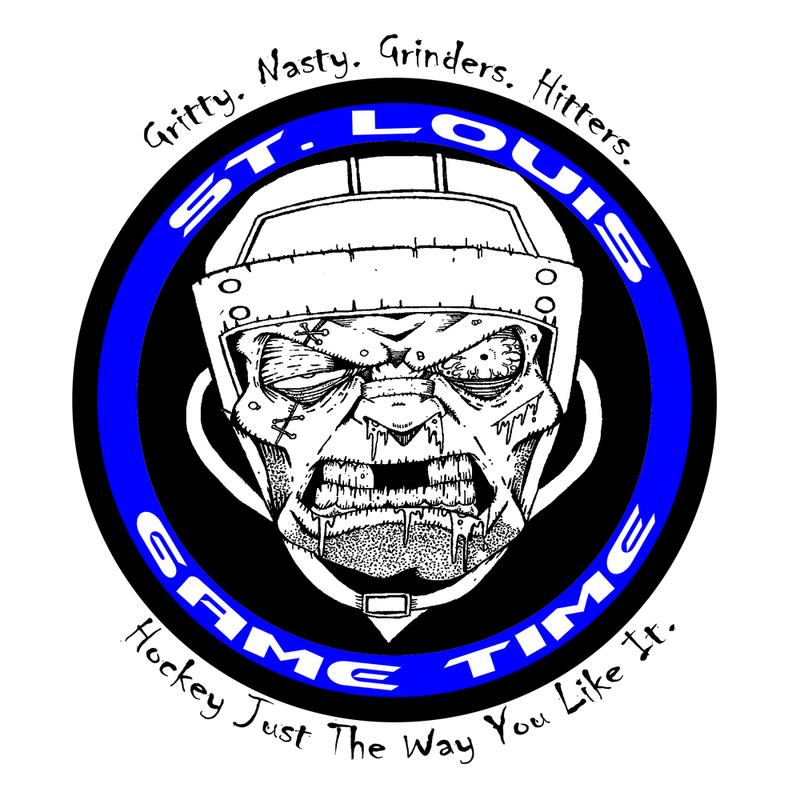 Any Stanley Cup team lives or dies on their goaltending, which is why it’s important to point out the fine situation the Blues find themselves in as we cruise towards 2014. Jaro Halak is the starter in his fourth and final year of his contract and is playing very well. He is 15-5-2 with a save percentage of 91 percent and a goals against average of 2.24. He has two shutouts and has shown moments of greatness in net. Some don’t like his style because upon first glance it is a laid back slow moving way of stopping shots. It has always been Halak’s way and served him well in his career as a starting goaltender. Halak isn’t perfect and has shown signs of instability, both mental and physically. He has been pulled 3 times and shown the ability to not be mentally prepared for a game. Against the Ducks at Scottrade last weekend, Anaheim coach Bruce Boudreau said the team picked up on something in Halak’s pregame and exposed in with 4 first period goals in knocking out the Slovak. Every goalie has these moments but how many more will Halak have. He is the starter so he gets bigger smack when he has a bad game than the backup gets put through the ringer. Same as a starter getting shelled as opposed to a reliever. When people depend on you to be the #1 and you don’t perform, eyes are on you. Right or wrong, that’s sports. Brian Elliot has also done a very good job as the backup. He is 6-1-1 with a shutout and a 93 % save percentage as well as a 2.14 goals against. Sure, he has played less and doesn’t get as exposed as Halak, but in his role as a backup, Elliot has flourished. He has been chased at least once himself and can sometimes look lost on simple straight shots but he has also rescued the team from potential blowouts. His style is as different from Halak as it gets. He is a hyper active goalie with quick movements and adjustments. There are times where one thinks he simply moves too fast for his own good. Elliot has done a fine job. However, when pushed to being the starter, over a long period of time, has shown the ability to be solved by opposing teams and become less stellar as the consecutive starts piled on. Like Halak, he can be had and the more games he plays in a row, the likelihood of that happening only grows. Reading this, you may think I am shooting our goaltenders down. I am not. Here is the situation. 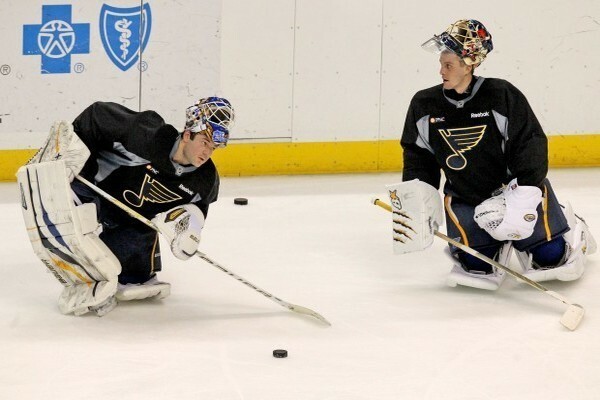 The Blues have two very capable goaltenders. In my eyes, neither can be a clear cut starter and with a tandem like this, neither HAVE to be. Head coach Ken Hitchcock can simply play the hot hand and when that goalie starts to fade, you insert the other. As much as I want to see Jake Allen make an appearance soon, at this moment, he isn’t needed. He is a fine insurance policy shall injury strike the Blues in the net, but right now let him flourish in the minors. Allen is young, highly touted and hungry. We saw what he could do last season. In February of this year, Elliot wore down in the starter role after Halak’s 35th muscle pull, and Allen stepped in and took over while Elliot went to the minors to deal with his situation and regroup. While he wasn’t perfect himself, Allen dominated games, craved the spotlight, never showed an ounce of fear and informed the Blues brass he was ready for the big stage. As desirable as that is, right now, the Blues are fine. They have a decent amount of money allocated to these two goalies on the roster and need to ride them while they are producing at this kind of level. Halak may never be a clear cut #1 guy for a whole season due to his inability to stay healthy and suffer off breakdowns. Elliot may never be able to handle the month long load of being a #1 goalie. The good news is neither have to be and can come together a two bodied force and propel this team towards the halfway mark and hopefully into the playoffs. We all know Halak’s injury history and Elliot’s ability to be exposed, and get how that can affect the playoff hopes for this team. As great as this team has been, we haven’t seen a truly deep playoff run in a long time. We tossed out the Sharks two years ago and got swept by the Kings. Last season, we got a 2-0 lead on the Kings and saw every facet of the team break down. Both times, Elliot was in the spotlight and lost his way. What will happen in the spring of 2014? Nobody can tell at this point so it’s important to watch these two stoppers do their thing and push this team towards the glory hour. Individually, Halak and Elliot aren’t perfect. Together, as a tandem, they are nearly unbeatable. The Blues have a good situation with their goaltending. No friction or controversy. Good old fashioned depth. Enjoy it because other teams only envy it. Thanks for reading. Reach me at buffa82@gmail.com or @buffa82 on Twitter.